For many college women, having safe spaces for open conversation are often scarce. 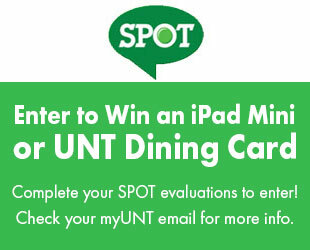 Hoping to change that, a group of UNT students started Root + Soil last fall. The all-female group aims to celebrate the beauty of friendship through empowerment and compassion for themselves and each other. Root + Soil meetings are held twice a month, offering participants a space to discuss different social issues and life in general. Meetings are led by five “cultivators” and new members are always welcomed. Founder of Root + Soil, senior communication studies major Frida Berriochoa lounges in a Forum at Denton Station student apartment. Image by: Trevon McWilliams. 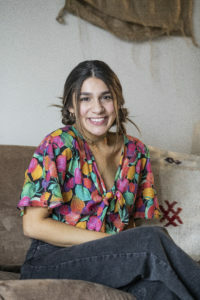 Communication studies senior Frida Garcia Berriochoa said she founded Root + Soil after realizing she was not getting enough out of her time in college. Fiona Kraft, a marketing junior and Berriochoa’s freshman-year roommate, is a current Root + Soil cultivator. Both Kraft and Berriochoa said they were frustrated by the lack of opportunities they had to discuss how they felt about themselves and the world around them. 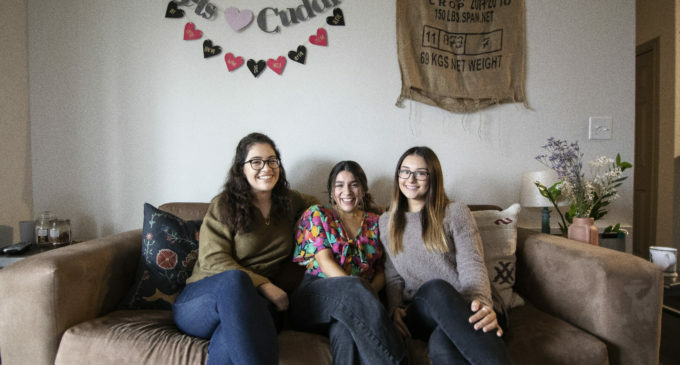 While an increasing amount of support for feminism and female empowerment has taken over mainstream media, Berriochoa said an established, nurturing environment was still absent at UNT before Root + Soil. During every meeting, Berriochoa, Kraft and the other three cultivators present new topics for members to reflect on. Some of the themes they have focused on this year are new beginnings and vulnerability. Most of the group discussions start with one member talking about their own experiences and then opening up the dialogue for new perspectives. Berriochoa said the goal is to make usually taboo conversations feel more comfortable and make it possible for girls to discuss issues without judgment. Camille Uzee, Root + Soil member and interior design sophomore, said it was hard making connections with students whom she passed by during her day-to-day life on campus. Uzee recently joined Root + Soil for its first meeting of the year in early January. Root + Soil is not religiously or politically affiliated in any way and is open to anyone willing to discuss issues through varying perspectives. The organization’s next event is their Valentine’s Movie Night, which is meant to remind women of their unique individuality. Featured Image: Root + Soil, an on-campus organization meant to uplift and cultivate women from all backgrounds, was founded by communication studies senior Frida Berriochoa. From left to right, Root + Soil member Camille Uzee, founder and cultivator Frida Berriochoa and cultivator Fiona Kraft cuddle up together in Berriochoa’s apartment. Image by: Trevon McWilliams.